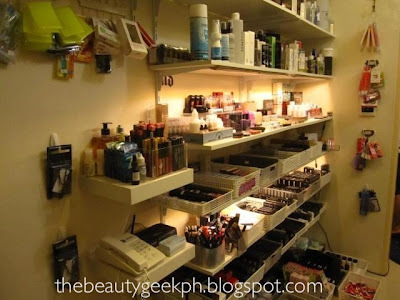 Have you ever gone to makeup heaven? I just did when I paid a visit at Make Up Pro! I share the same sentiments with everyone who went to this place, I would bet on that! Indeed, this place is heaven to every beauty enthusiast. This place is packed with hard to find cosmetics. It may cost a bit compared to those bought overseas but it sure is cheaper than those sold at the malls here in the Philippines and those sold at online stores around. MakeUp Pro has two branches, one in Makati and the other in Quezon City. I was lucky to visit both stores, but I failed to take pictures on the later one. Allow me to brief you through all the good stuff this store has to offer. As soon as you enter to the unit, you will be greeted with this chic sign of the store - very fitting for what the store has to offer. 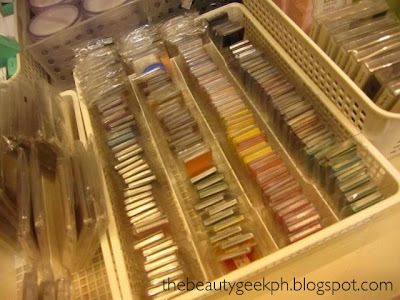 And right then and there you will be awe struck with shelves of great beauty finds! Hard to source items may be found in this shelf like this Eve Pearl Concealer and MAQPro Concealer Palette. Items for airbrush makeup like that from Temptu may also be seen. 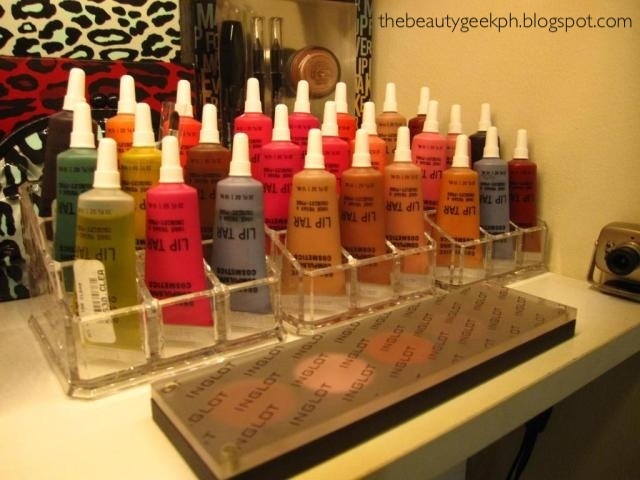 This basket holds a bevy of shades from Inglot so you can customize your palettes to your hearts content. 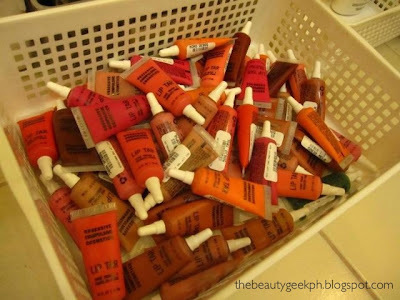 Another great item that they hold for a price that is as close to those sold overseas are these lip tars from OCC. You even have a lot of shades to choose from so make sure you dig in this basket. 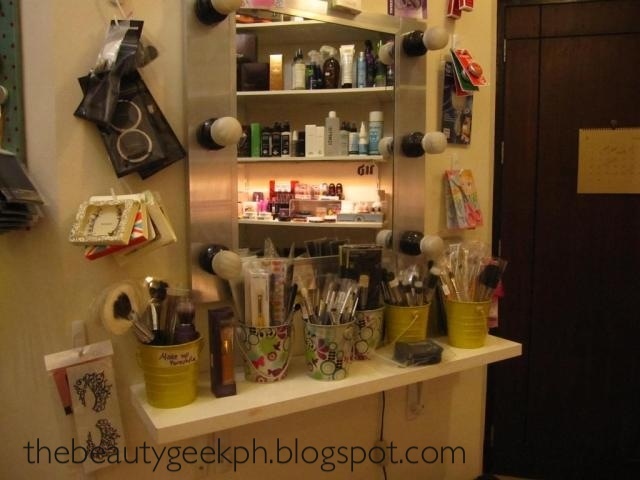 My favorite part of the store is this mirror which holds makeup brushes from MakeUp Forever, MAC, Bdellium, Tarte, Urban Decay, and on a shelf nearby, you would see Real Techniques, Hakuhodo brushes and my dream set from Rae Morris. 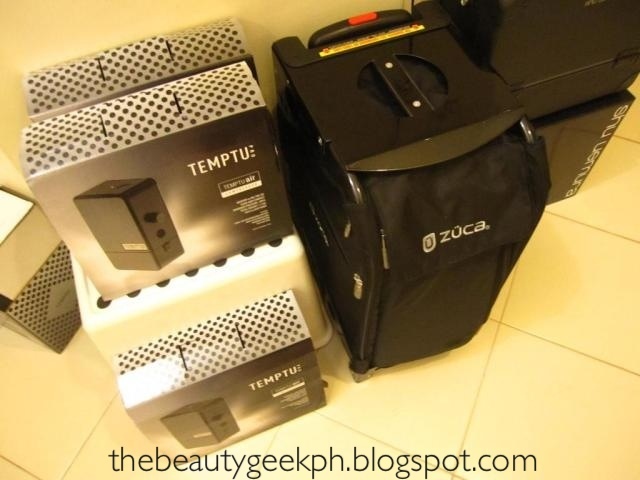 Below the mirror you would see airbrush compressors and makeup cases like this one from Zuca and Shu Uemura. 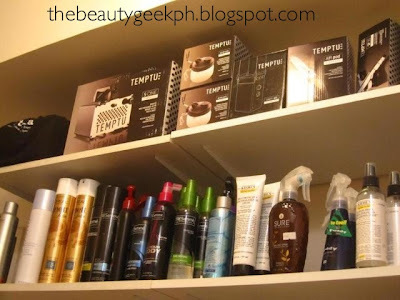 On the topmost shelf, you would find hair products from Loreal like the famouse Elnett Satin Extra Strong Hold Hairspray, Tresseme products and Kiehls. You would also find more Temptu Airbrush accessories and compressors. Man! I'll be saving up for that!! 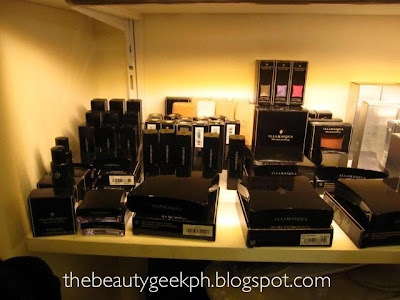 There is also a shelf of Illamasqua products. From blushes, to eye shadow quads, lipsticks and glosses.. You would really have a hard time deciding on which ones to pick. If only I had unlimited funds, I would shop like crazy! 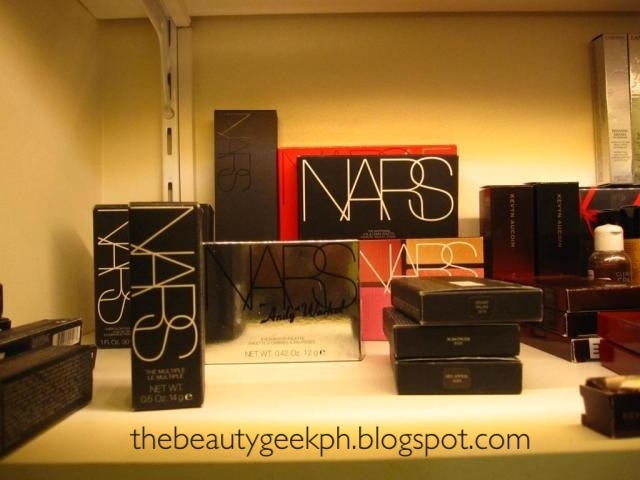 Another great shelf to feast in would be this one full of Nars products. Beside this shelf (not in picture) is another hard to find brand from Kevyn Aucoin. Makeup Books are also sold here. 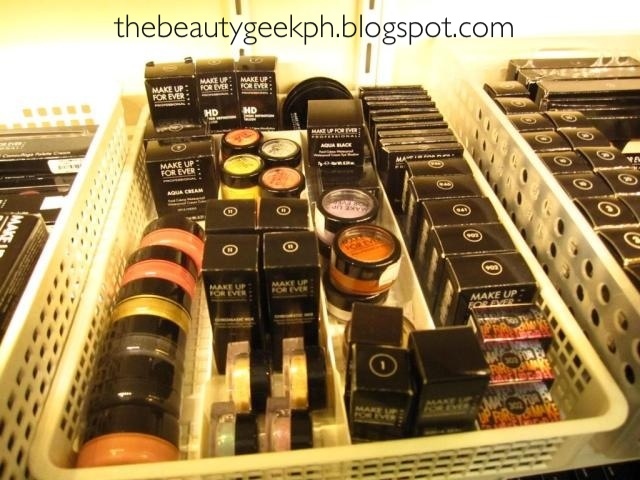 Another part of the shelf that I went crazy about was the part from MAC (not in picture) and Make Up Forever. 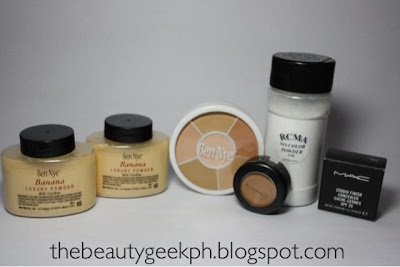 I even made a list of products I would purchase the next time I visit the store! So, I went home with these goodies - and for the record, I have never been this happy shopping for makeup! No kidding! I got Ben Nye's Banana Visgae Luxury Powder, One pot of MAC Studio Finish Concealer in NW35, Ben Nye's Total Cover-All Wheel in SK-100, and RCMA's No Color Powder. Ms. Ana and the rest of the Make Up Pro team would be happy to assist you! 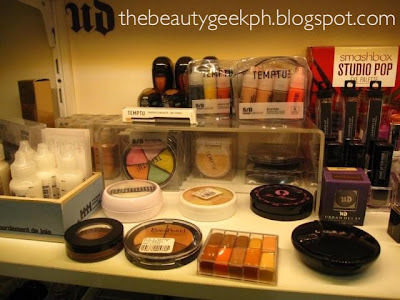 I knew someday a shop would open up that sells all the hard to find make up! 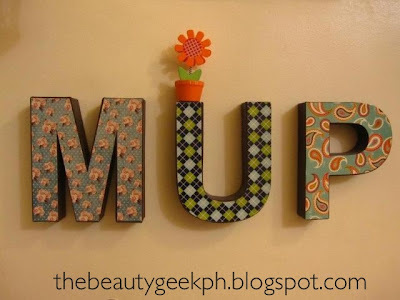 Visiting the makati branch soon... Would you know where exactly in Makati? Hihi! I was already sold (was already a follower) when I saw this post. Thanks again. Hope to see your hauls and reviews soon! :)) you will really love it there I swear! Hi steph! No need to wait for your next visit to manila coz the store also ships! :) followed back thanks for following! Define heaven talaga! =) Thanks for sharing. Hi there, Thanks for sharing. I am big fan of beauty cosmetics and jewelry. Hope you will post information regarding jewel as well. I liked it very much. Hi, do they sell tom ford lipsticks and make up forever brow corrector kit? does anybody knows their contact number in Makati? The link to their FB page doesn't seem to work, it says the page isn't available...How can I get directions to their place? Is their makati store still available? They don't sell fakes, do they? I heard some trusted sellers sell fakes that are really close to the original. 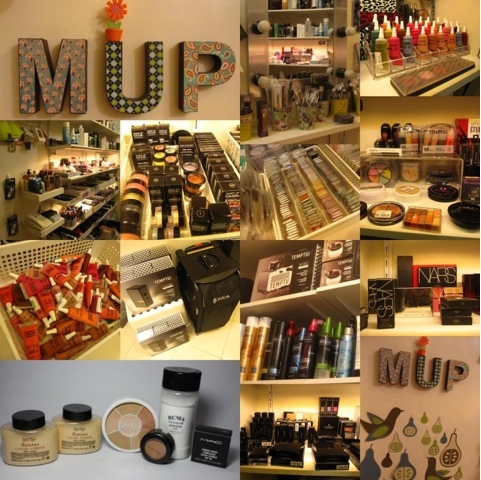 It it really a makeup heaven store for me. I think all kinds of makeup are in there. Our hair and makeup artist will be happy is she can go here. Thank you dear for this blog. I will definitely go and visit soon. Acrylic-holic! Cheap Acrylic Case Haul!